Each has its own form, meaning, and distinctive beauty. 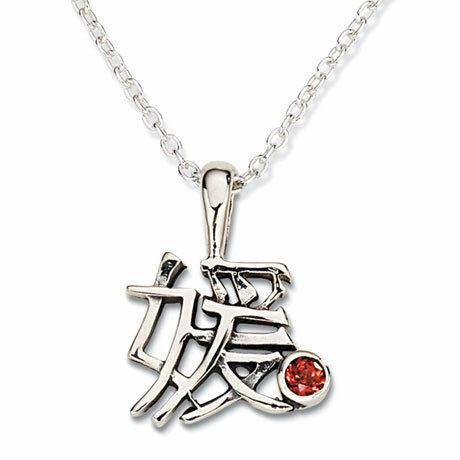 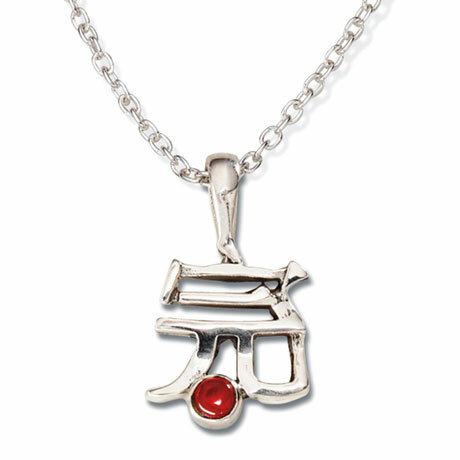 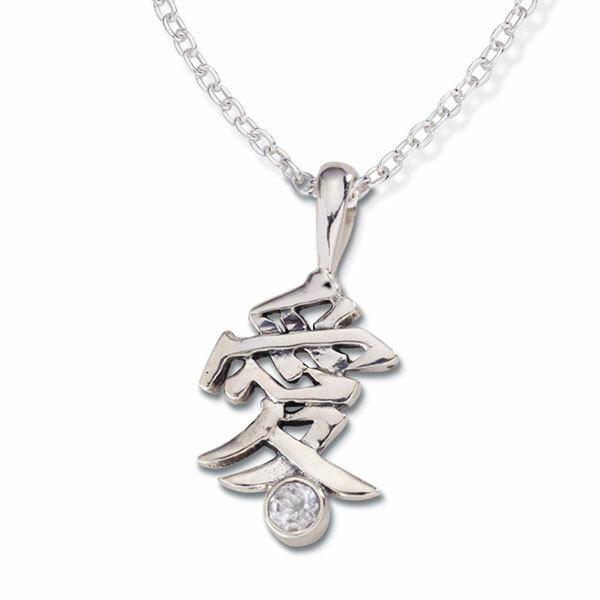 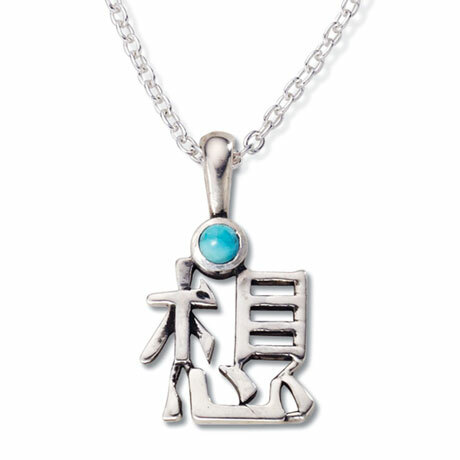 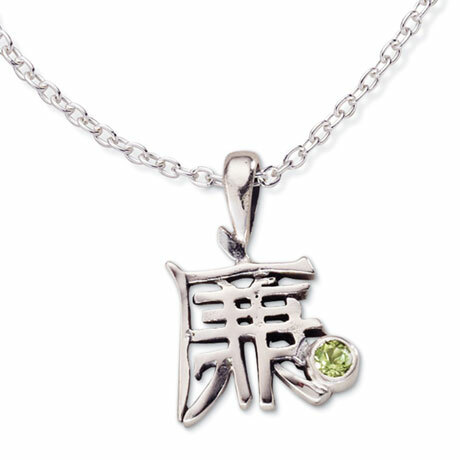 An elegant Kanji symbol in sterling silver is accented with a bezel-set semiprecious gemstone. 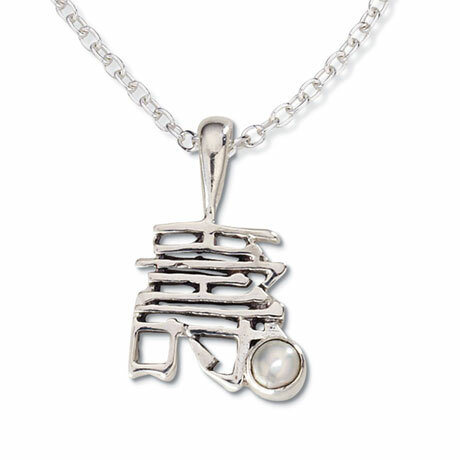 The ¾" pendant hangs from a sterling chain that adjusts 16"-18". 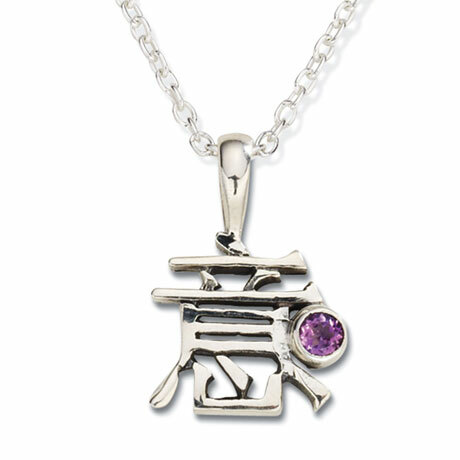 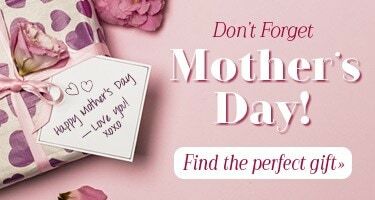 Specify month-or months; some moms also wear their children's birthstones.